1. How did you become involved with the Fiesta Bowl Charities? When I was transitioning from working for traditional professional sports properties, the Fiesta Bowl organization was looking for an executive director to lead the Bowl in the new College Football Playoff era. As a nonprofit, the Fiesta Bowl has always had charitable efforts, so joining the Bowl meant becoming involved with Fiesta Bowl Charities. While the Fiesta Bowl always had a really rich history as a top-level college football organization, an early goal of ours was to increase our charitable efforts and make a meaningful impact on people’s lives all over the state. We continue to let the community know that we are more than just a game. 2. How has the Fiesta Bowl organization changed since you accepted the role of executive director? To be successful in this new era, we needed to become more of an internal sales and marketing organization, with dedicated leadership to build our sales efforts on a year-round basis. This was a major transition for the organization. I think the biggest change has been our additional focus on and communication of our charitable efforts in creating a year-long calendar of community events. We’ve seen the nonprofit community and business community embrace our efforts and want to join what we’re doing. 3. To what do you credit the Fiesta Bowl’s ability to give so much back to the community? Our volunteers rock! We have an awesome staff that works hard all year and the local business community has supported our efforts, but without our 3,000 volunteers, we would not be able to give back so much. This year, we are proud to give away another $2.5 million directly to charities, and we couldn’t do it without the work of the entire Fiesta Bowl family, who believes in the mission of what we do. I thank everyone who has supported our events and bought tickets to our games, but at the heart of our success are our board of directors, Yellow Jackets, ambassadors and thousands of volunteers who make our events successful. 4. What is your favorite Fiesta Bowl event — aside from the big games? This is a hard one. With the Fiesta Bowl putting on fun events year-round, it’s like asking me to pick my favorite child. I would say our Fiesta Bowl Parade is a favorite of mine. The fact that it is free, over 100,000 people have the opportunity to enjoy it each year and we honor a community champion as our Grand Marshal make it a special event that we are proud to provide. We have volunteers who have been helping run the Parade for more than 20 years! 5. Where do you think the Fiesta Bowl has made the biggest impact on the Valley? Certainly the economic impact of bringing annual high-profile games and fans to Arizona has accumulated $2.75 billion of incremental impact over the last 12 years. Helping drive economic impact to the state and having focus on the community while having fun is our mission and guides us in the decisions we make. 6. What do you think are some misconceptions people have about the Fiesta Bowl? The Fiesta Bowl is not just a football game. I still get asked if my job is full-time and what I do the rest of the year since “we only have the games in December.” I assure you that the staff and volunteers stay busy all year planning, selling and preparing to put on world-class events throughout the year. It is more widely known now, but many people are still not aware of our charitable efforts and the fact that we are a nonprofit entity. 7. 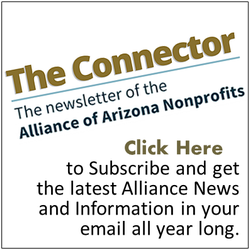 What does Fiesta Bowl Charities look for in the charities it partners with? We look to give to nonprofit organizations that contribute to the success of our Arizona community through our three pillars of youth, sports and education. Most of our charitable giving is directed through our annual grant cycle that starts in the spring of each year and it’s inspiring to go through each application and learn what these charities are doing. 8. What are some ways Fiesta Bowl Charities engages with the community? Of course, our volunteers are part of the community and their commitment is a huge part of our success. The unique piece of our engagement comes when our charitable efforts kick in. This year, our Wishes for Teachers program will give $5,000 each to 200 teachers to make their classroom, school and students’ learning experience wishes come true. Wishes for Teachers has quickly become a signature program as one of the best ways our work engages the community. 9. How else does the organization touch the community? In addition to our charitable giving, we engage with the community through donated tickets to veterans, teachers and children who wouldn’t otherwise have the opportunity to go to a game. Building playgrounds, football fields and community resource rooms; serving meals; and the tens of thousands of volunteer hours all allow us to engage our community and help improve the lives of those who live here. 10. What do you hope is next for Fiesta Bowl Charities? Our organization’s mission is to drive economic impact and focus on giving back to the community. We do this by being successful with our events. My hope and expectation is to do more of what we already do and continue to work on doing it better. The more support and success we have with our events, the more we will have to give back. To learn more, visit fiestabowl.org.